ChronicCareIQ offers a variety of features that will help you stay in touch with your care team, and stay informed about your care. This page will give a brief explanation of all the features that are available, and show you how to access them. 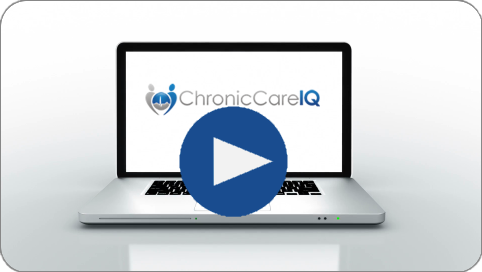 The main hub for getting to all of the different features within ChronicCareIQ is the navigation bar. Once you have logged in, it will always be available at the top of the screen. The image above shows what it looks like. The remainder of this guide will go step-by-step, through the different parts of the navigation bar. Note: The navigation bar will automatically adjust based on the size of your screen, and may not look exactly like what is pictured above. The Home page will let you know whether or not your care team has your most up-to-date health status. From this page, you can access your health status update history, if your status is up-to-date, or provide a new health status update, in case your care team doesn’t have your latest update. The Instructions page will allow you to access your care plan, if your physician has made it available through ChronicCareIQ. The History page allows you to view detailed information about past health status updates that you’ve sent to your care team. 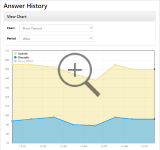 Details can be viewed for each individual question, and for varying amounts of time. See the image below for an example of information that can be viewed on the History page (click or tap the image to enlarge it). The Care Team page will list the members of your care team, and will show any contact information they have chosen to provide. Tip: if you view this page from a smartphone, you can tap on any phone number to automatically dial it. On the Care Team page, if your provider has given you the option, you may choose to request a phone call from your care team. If this feature is available, the “Request a Call” button will be displayed on the Care Team page. 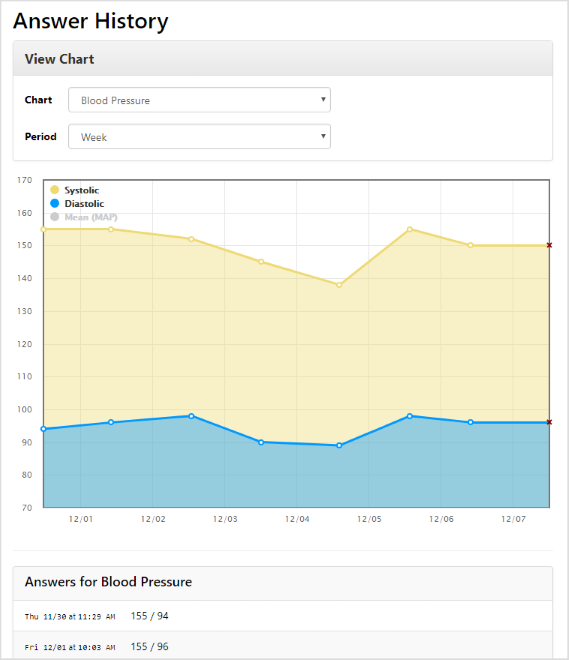 Using this feature is the recommended way to send questions and comments about your care and monitoring program. Your feedback will be delivered directly to your care team. The My Account page allows you to change your ChronicCareIQ preferences. For a more detailed look at all of the different preferences you can change, see the “Changing Preferences” guide. The Sign Out link will sign your account out of ChronicCareIQ, and return you to the log in page.